We don't regret that revolution back in 1776, but we do confess to being excited by the novelty of an American marrying into the British royal family for the first time since 1937. And what better way to celebrate than by sipping a hot cuppa (or perhaps chilled champagne?) from this charming Royal Wedding Mug! 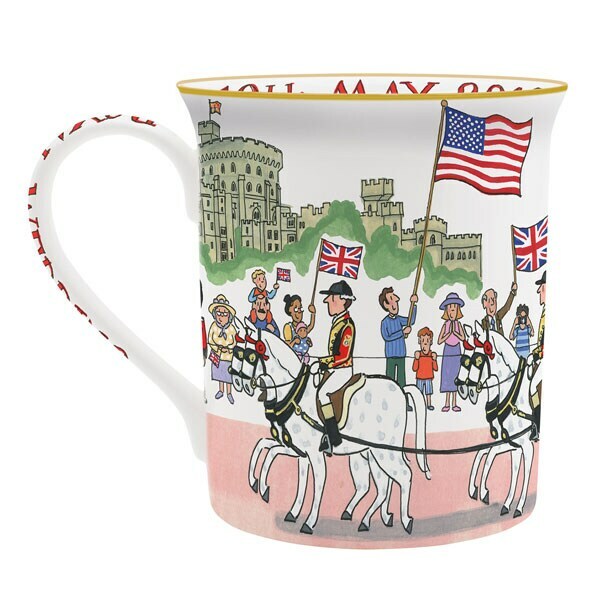 Designed by British artist Alison Gardiner, the commemorative mug features a colorful illustration of Prince Harry and his bride, Meghan Markle, in a horse-drawn carriage, waving to well-wishers bearing American flags and Union Jacks beneath the turrets of Windsor Castle. 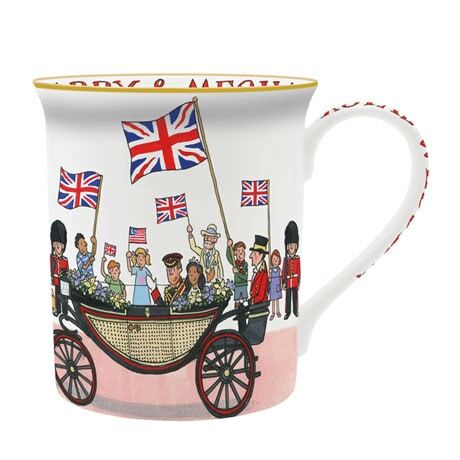 Inside the mug's rim—which is hand-gilded in real 22-carat gold—is the inscription "Harry and Meghan 19 May 2018" and the handle reads "Royal Wedding." Handcrafted of fine bone china in Stoke-on-Trent, the historical heart of England's pottery industry, each high-quality 8-ounce mug takes more than a week to make, using centuries-old traditional methods, and arrives in a special gift box. Handwashing is recommended. [Begins shipping March 26, 2018.] Check out our blog to learn more about how this heirloom-quality mug is made!